1.piece adopts key pneumatic compression device. 2.Single-sided welding, double-sided molding, beautiful weld appearance, stable and reliable welding quality. 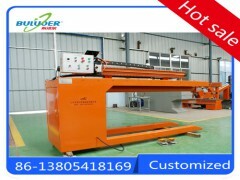 3.Adjustable welding speed, quick and accurateaction,conbind the machine with electrical control integration. 4.welding power supply according to the different workpiece material to selec TIG or MIG / CO2. 1.used for stainless steel, carbon steel, aluminum and other metal cylinder,jointed board straight seam welded. 2.Widely used in automobiles, motorcycles, electric cars, home appliances, thin-walled containers, muffler and other metal manufacturing and processing industries.